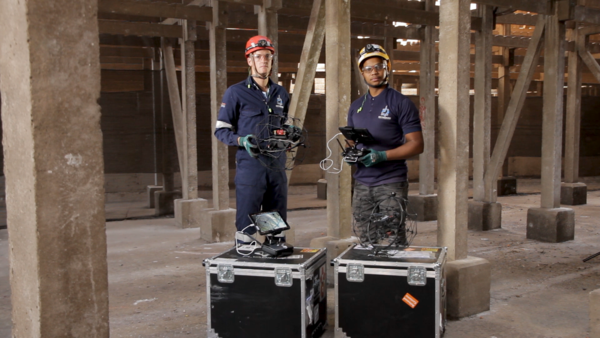 The sky is definitely not the limit for the Skyriders Elios Sky Eye confined-space inspection technology from Skyriders Access Specialists (Pty) Ltd. 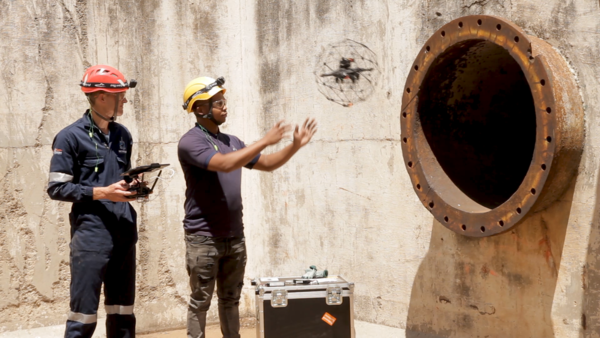 The company recently deployed the collision-resistant drone on a roof-replacement project for a major industrial client, in conjunction with conducting ultrasonic (UT) wall-thickness testing. One of the specialist inspection services offered by Skyriders, it has technicians trained specifically in this regard. UT measurement comprises the non-destructive testing of the local thickness of a solid element such as a wall, based on the time taken by the ultrasound waves to return to the surface. This measurement is determined by an ultrasonic thickness gauge. 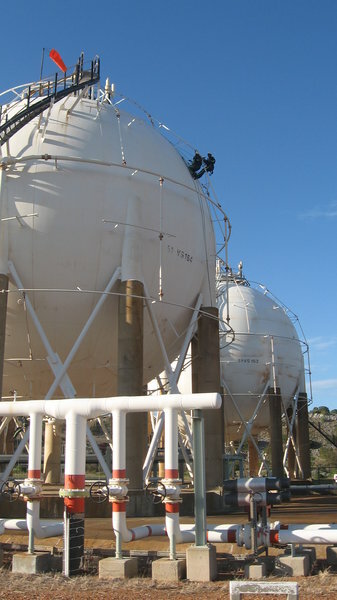 Skyriders Marketing Manager Mike Zinn explains that the industrial client had to make a major capital-expenditure decision due to the need to replace the roof of a large storage tank. If it could be determined that the underlying support structure had sufficient integrity to support the new roof, it would literally save millions on the project. If an entirely new support structure was required, the roof-replacement project itself would be delayed, as the structure would have to go out to tender to be designed, fabricated, and installed. This is where the expertise and technology of Skyriders was called upon. While the client has used Skyriders Elios Sky Eye technology before for inspection purposes, this was the first time that the system was used in conjunction with UT wall-thickness inspection. Zinn explains that the Skyriders’ team was able to access the storage tank once it had received the necessary permit in this regard. The Skyriders Elios Sky Eye drone was used to conduct a thorough visual inspection of the internal support structure. Thereafter technicians used rope access to reach the 14-m-high roof, and carried out UT wall-thickness measurement on select steel members. This information was compiled into a detailed report, with the assistance of specialist engineering company Nyeleti Consulting (Pty) Ltd., and then presented to the client. “Within two days we were able to produce a verified report assuring the client that the existing support structure was indeed adequate for the new roof covering,” Zinn confirms. He concludes that the benefit of the Skyriders Elios Sky Eye technology, in conjunction with rope access and other inspection methodologies, is that it gives engineers visual insight to provide recommendations, whereupon rope-access technicians can carry out the necessary inspection and any maintenance if need be on-site. Skyriders (Pty) Ltd., established in 1998, is a leader in the South African rope access industry, providing cost- and time-saving solutions to clients in the power generation and petrochemical industries who require rope access aided inspection, NDT and maintenance work to be done in difficult to reach, high-up locations.